The holidays are almost here! Thanksgiving and Christmas are my favorite holidays of the year. I look forward to spending time with all our loved ones - our family and friends. But, yes, of course... it is an absolute given that I love, love, LOVE to eat during the holidays. 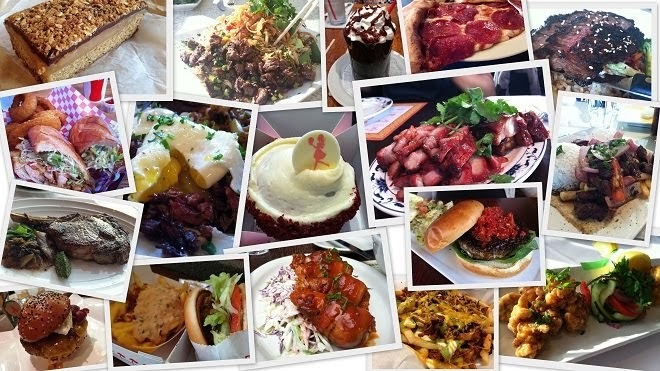 AMERICA’S FAVORITE HOLIDAY FEASTS ARE BACK! The holiday hustle and bustle is upon us, and Marie Callender’s is ready to take the stress out of the season! Guests can choose from FIVE delicious Holiday Feasts and more than 30 of Marie Callender’s legendary pies. Easy online ordering is available at www.mariecallenders.com. Each Holiday Feast serves six to eight hungry people and features a complete dinner with all of the trimmings and, of course, a Marie Callender’s signature Pumpkin or Apple Pie. All Feasts are conveniently packed and ready to go. All you need to do is heat, serve and enjoy – it’s that easy! Turkey Breast Feast ($99.99) – An oven roasted turkey breast with all the feast trimmings. Ham Feast ($99.99) – A bone-in spiral cut quarter ham and chipotle-pineapple glaze topping with feast trimmings. 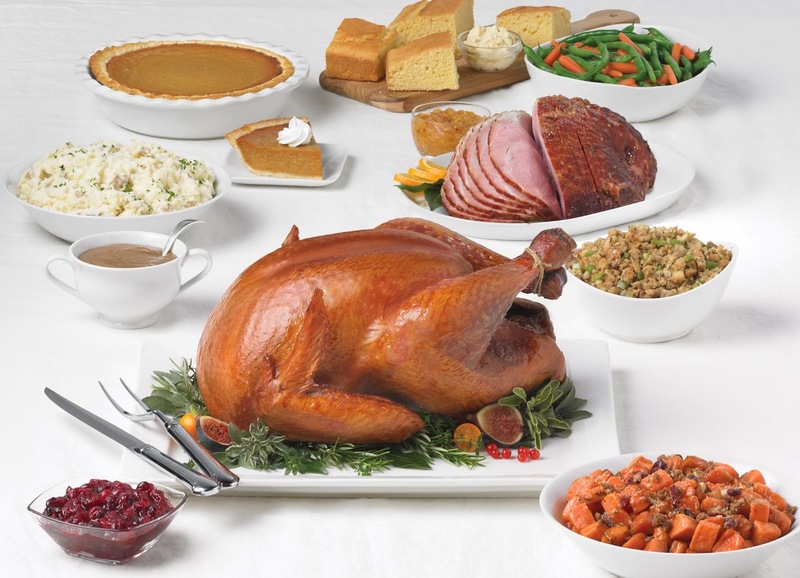 Ultimate Whole Turkey Feast ($119.99) – A whole roasted turkey with all the feast trimmings. Ultimate Ham & Turkey Feast ($149.99) – A whole roasted turkey and Marie Callender’s bone-in, spiral cut quarter ham with chipotle-pineapple glaze topping and all the feast trimmings. Marie Callender's is known for their delicious, freshly baked pies. Even if you're planning to cook at home, pick up a Marie Callender's pie to finish your feast. 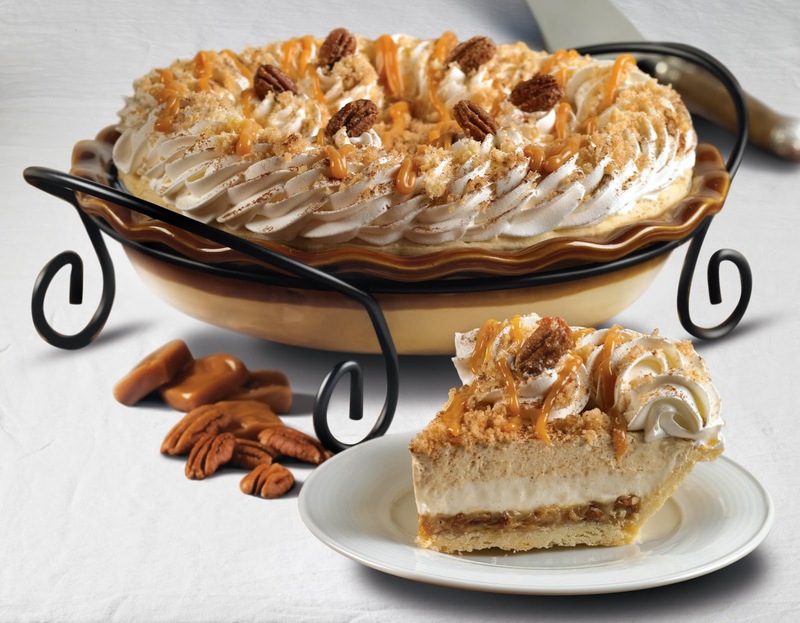 Marie Callender’s offer more than 30 flavors including Banana Cream, Apple, Pumpkin, Mince with Rum Sauce, "No Sugar Added" Apple and Razzleberry and Caramel Pecan Pumpkin Mousse Pie (pictured below - looks SO good). 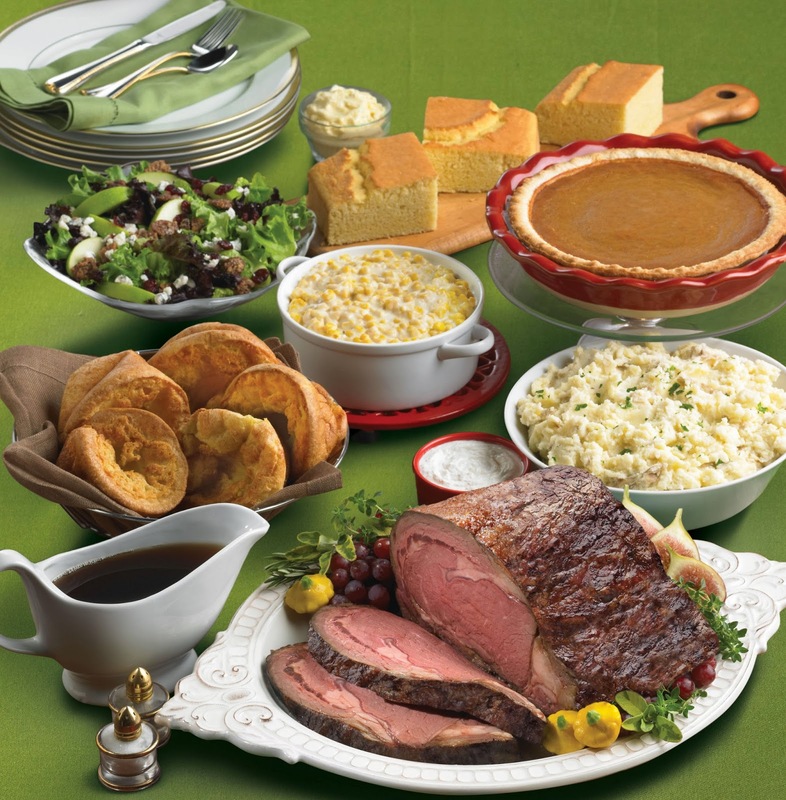 If cooking isn’t in your future, Marie Callender’s offers a complete in-restaurant Thanksgiving Dinner. Start with soup or salad, enjoy turkey or ham with all of the classic holiday sides, and finish the meal with a slice of fresh baked pie. Adults can dine for $19.99, while children are just $8.99. Prices and participation may vary by location. Happy eatings and season's greetings! **All images provided by Marie Callender's. I haven't been to MC in so long! The pics looks great though. I hope they give Honey Baked a run for their money :) The prices you listed seem really reasonable. Hi Faye! Thanks for the visit. I know, right? Honey Baked Ham is good, but kinda expensive! Have a great Thanksgiving holiday!